WASHINGTON (CNS) — Benedictine Archabbot Douglas R. Nowicki of St. Vincent’s Archabbey in Latrobe, Pennsylvania, was with Arnold Palmer when the golfing great died Sept. 25 in Pittsburgh. It wasn’t the first time Archabbot Nowicki had visited Palmer that day. Palmer, 87, was in a hospital awaiting a heart operation scheduled for Sept. 26. “I went to say a prayer and give him a blessing. About an hour after I’d departed, I got a call” that Palmer’s health was failing rapidly, the archabbot told Catholic News Service in a Sept. 26 telephone interview. Even though Palmer was a lifelong Presbyterian, he’d had a relationship with St. Vincent’s spanning more than 50 years, when Archabbot Nowicki himself was in the high school at the archabbey. Palmer did not let denominational differences deter him. 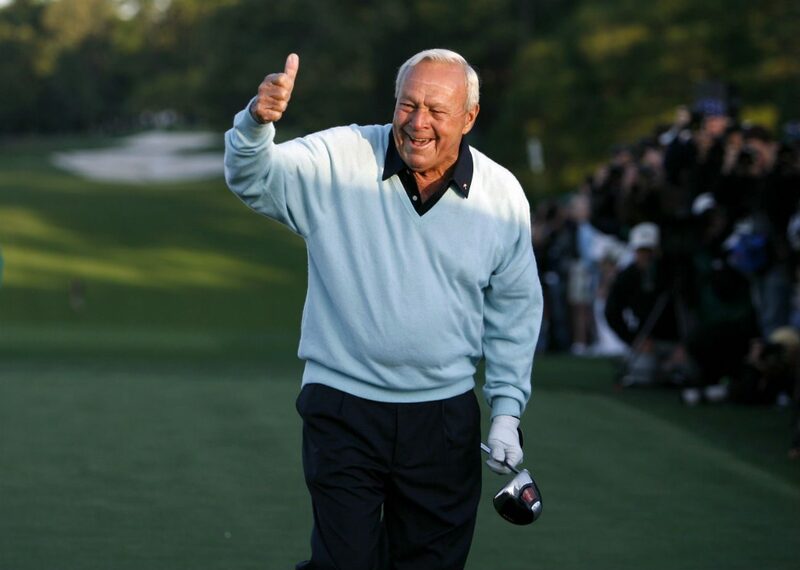 “Arnie sort of appealed to everyone. There were no barriers, race, color, creed — those were things that never entered into” his mind, Archabbot Nowicki said. “He was welcoming to everybody and treated everyone with tremendous warmth and respect.” Palmer came with his wife on occasion to the archabbey’s 7:30 a.m. Sunday Mass. “I remember him coming here on one occasion after winning several of the golf tournaments early in his career. He was hitting golf balls for the students. By then he had a fairly good reputation,” Archabbot Nowicki recalled. “He would give a little demonstration. I remember when he was doing it they put a little trash pail out in the middle, about 150 yards out, and he was hitting balls out and he got about five in the tanker,” he chuckled. “Arnie, as you know, was competitive and enjoyed playing with good golfers,” Archabbot Nowicki said. In retirement, Palmer lived five months of the year in his native Latrobe. Not only did he and his first wife, Winnie, who died in 1999, lend their name and their presence to various archabbey events, Winnie Palmer was “very helpful at keeping Wal-Mart out of our backyard,” Archabbot Nowicki said. Arnold Palmer also served on the St. Vincent’s College board of directors. In 1996 the college gave Palmer an honorary degree. Palmer learned golf from his father, who was the greenskeeper at the Latrobe Country Club. He attended what was then Wake Forest College on a golf scholarship. He left school and enlisted in the U.S. Coast Guard, serving for three years. In 1954, he won the U.S. Amateur golf tournament; a year later he won the Canadian Open, and his golf career was launched. Palmer won 95 professional championships, including 62 on the PGA Tour, and seven major tournaments. He earned $1.6 million in prize money, and another $50 million in golf-related business off the course. He also was awarded the Presidential Medal of Freedom in 2004. The archabbey will hold a memorial service for Palmer Oct. 4 at the basilica on the archabbey grounds. My dad, Tom Denver, took me to so many tournaments in PA and Florida to see and follow “Arnie”, part of his army! We knew Arnie exemplified all that is good in golf! More importantly, he showed how to treat all you meet with respect and generosity! There will never be another as great or kind! We miss you already! Love and peace to the King! The Palmer’s (Arnie and Winnie) were true gems. They ALWAYS had time to talk with you, as if they had ALL the time in the world and their undivided attention. They will surely be missed. God bless your family at this time and may they smile with the memories of ALL the good times . What a wonderful man this is what we need as Heroes for Children. May God Rest Your Soul Arnold Palmer. Thank you for sharing this beautiful story of Arnold’s life. I will keep him and his family in my thoughts and prayers. He will be missed by many, but they should be glad they were able to know him.